Weekend Bites in Paris! Oooh la, la. | Simple Living and Eating: Weekend Bites in Paris! Oooh la, la. Weekend Bites in Paris! Oooh la, la. Simple Living and Eating is taking a little holiday in Paris to celebrate my 50th birthday. I promise to post some pictures and tell you about the wonderful food I eat while visit. Please enjoy the party. Ooh, la, la indeed. Happy Birthday Diane. What a great place to celebrate a special birthday. You really know how to celebrate a birthday! Hope it's a great trip. Happy Birthday! What a fabulous place to celebrate your 50th Birthday, that is so special. A very Happy Birthday to you and I can't wait to see the photo's and hear all your foodie stories. Have more fun than you ever thought possible, after all it's Paris! Enjoy the time in Paris!! Have a lovely time in Paris, Diane and Happy Birthday!! Happy birthday Diane! Keep enjoying your most French Friday of all! What a fantastic birthday trip! Have a great time and Happy Birthday! Happy birthday Diane, what a wonderful way to celebrate!! 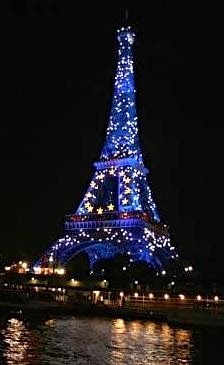 Have a wonderful time in Paris -- and happy b'day! The happiest of birthdays to you Diane! Hope you are having a fantastic time (I know you are!). Wishing you the happiest of birthdays, Diane! Enjoy Paris! I want to see pictures when you get back! Thanks for hosting all the way from Paris! I'm sure your enjoyed some delicious food! I'm looking forward to reading all about it and can't wait to see your travel pictures!